In May of this year, one of the greatest Star Wars stories ever told made the jump from PC and old consoles to the iPad. Today Star Wars: Knights of the Old Republic finally went universal, with a host of new features to welcome iPhone and iPod Touch players into the fold. 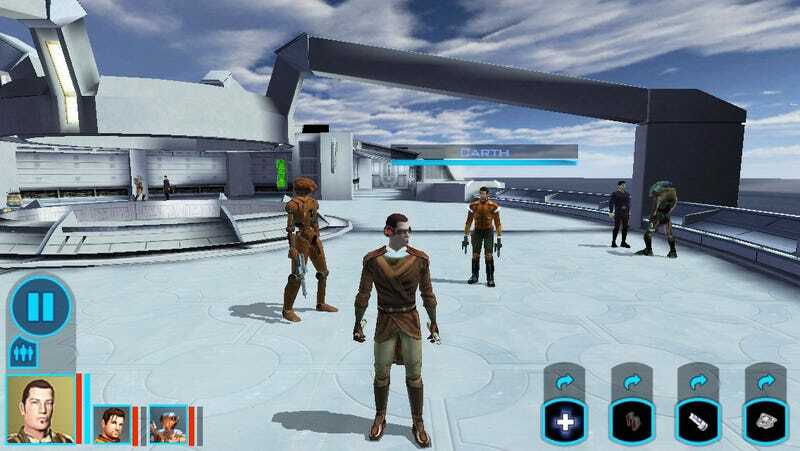 Along with support for the iPhone 4S and greater and 5th generation iPod Touches, the iOS version of KOTOR now supports the iPad 2, since it's officially Apple's budget model. Improved graphics — Shadows are now enabled for all Retina iPad models and the iPhone 5s. Enhanced lighting — Bloom effects are now enabled for iPhone 5s and iPad Air/iPad mini with Retina models. Widescreen support — Play the game on iPhone and iPod touch in true (not cropped) widescreen. Updated UI — The game's interface and text have been optimized for iPhone and iPod touch screens. Controller support — Experimental implementation for Made for iPhone (MFi) controllers. Want to give the game a spin? It's on sale right now for $4.99 on iTunes, or you can just use one of the four code links I hid in the text above.